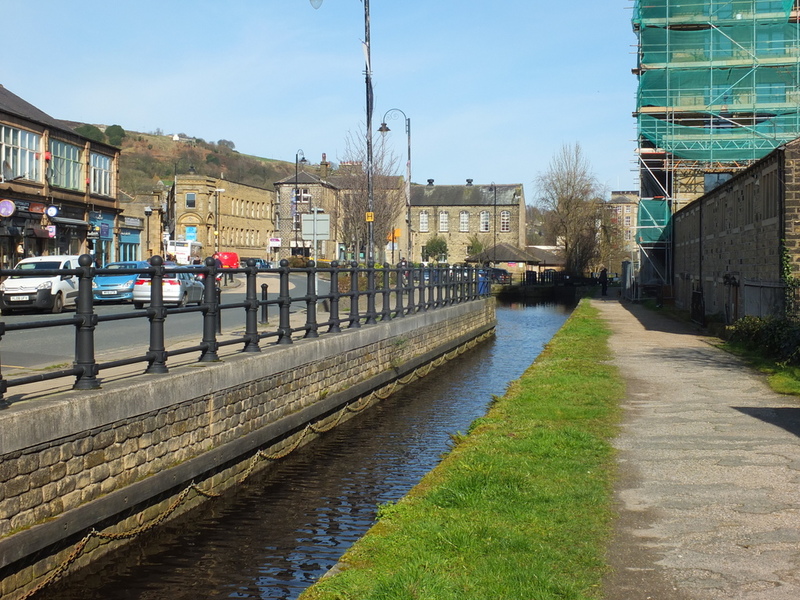 While looking for hikes in the Peak District of Northern England that would provide opportunities for brewery visits along the way, I happened across the Huddersfield Narrow Canal. 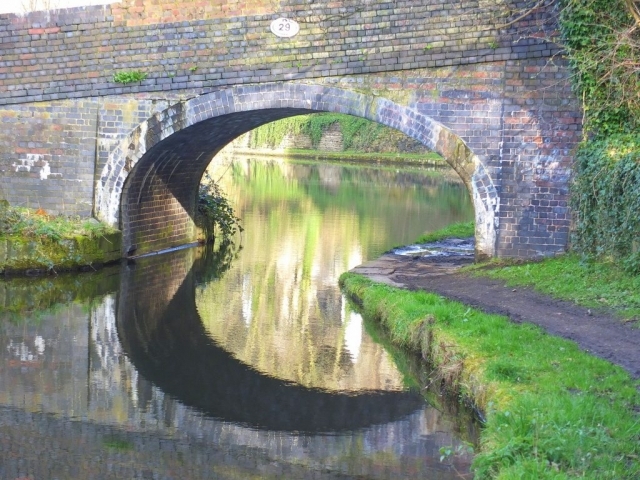 In the industrial times before the development of railway and truck transport, canals played a major role in moving goods to and from factory areas. They would typically have a tow path on one edge or the other where the animals that pulled the barges along the canal would walk. 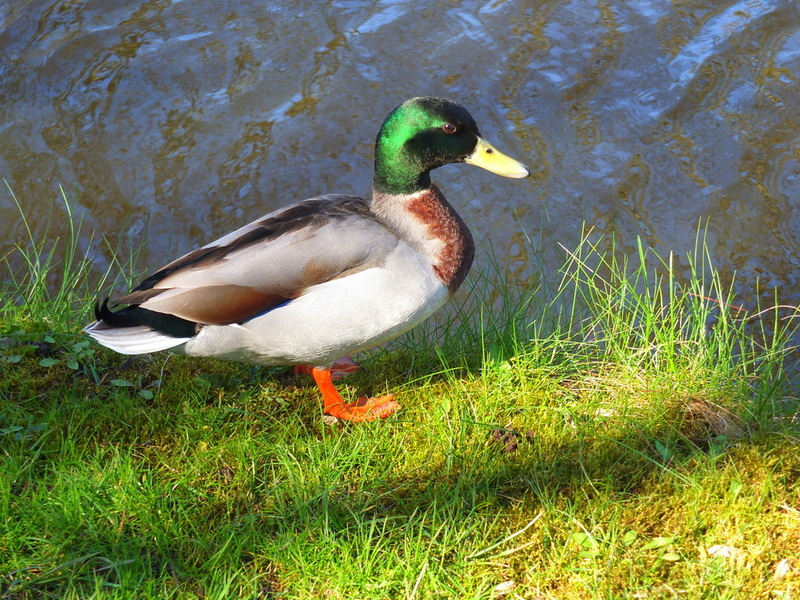 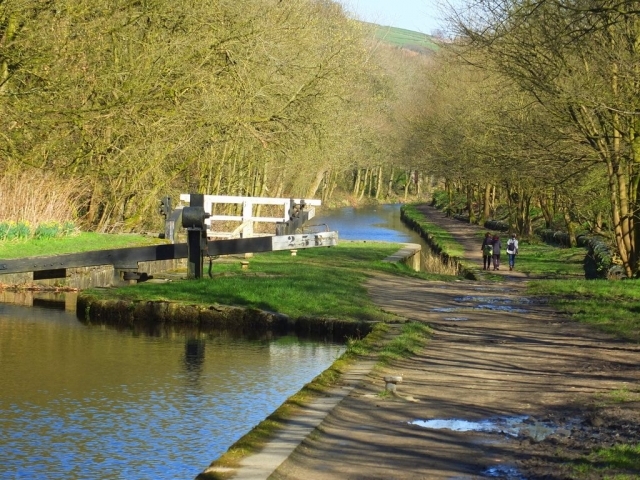 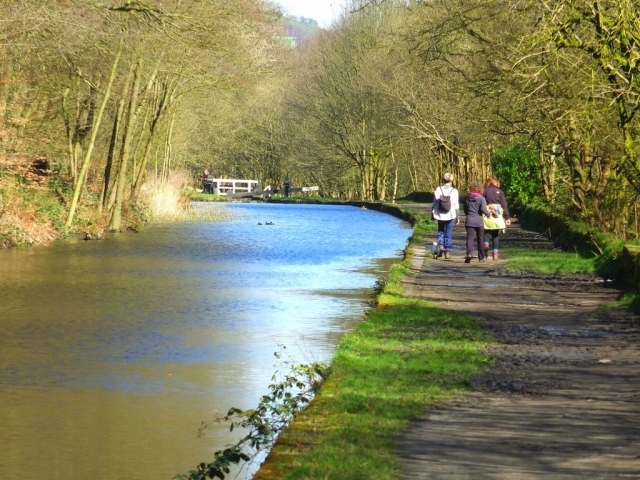 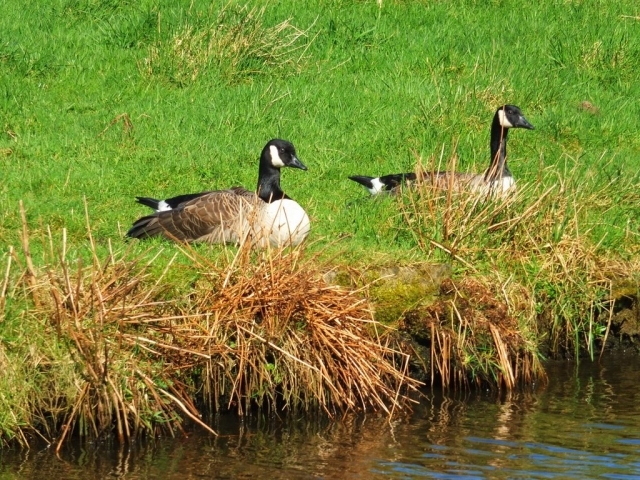 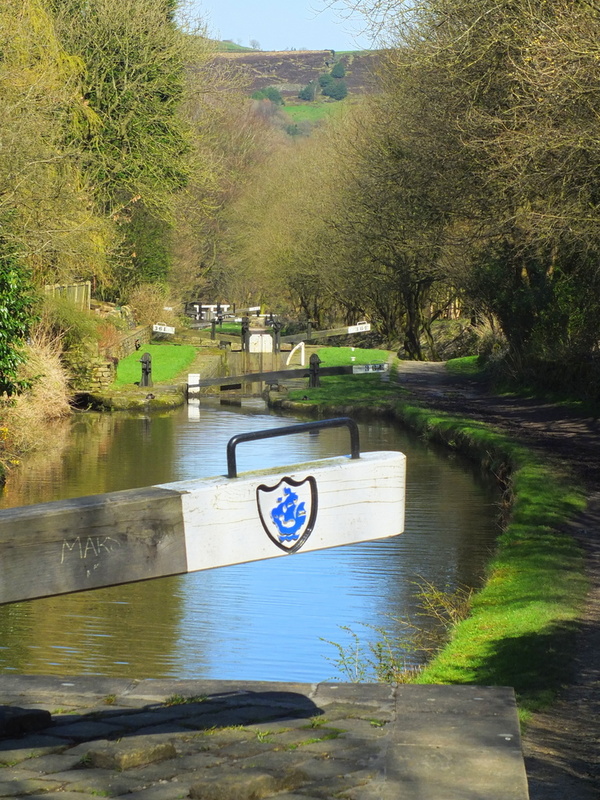 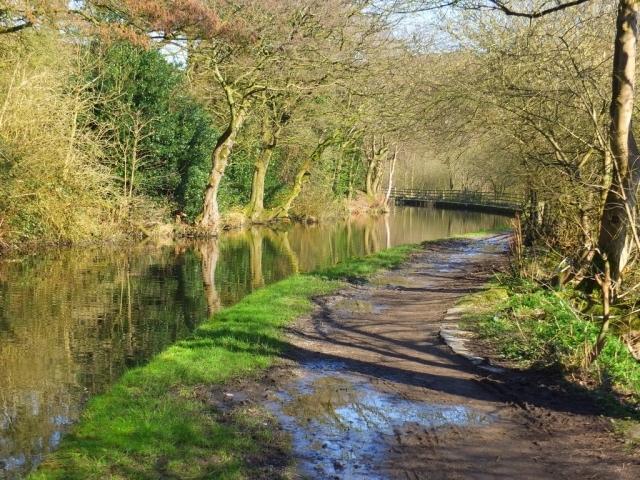 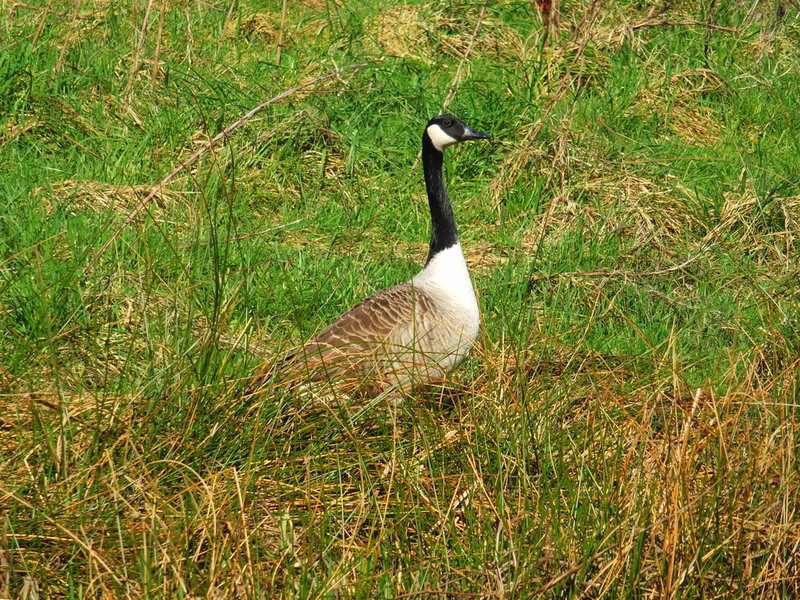 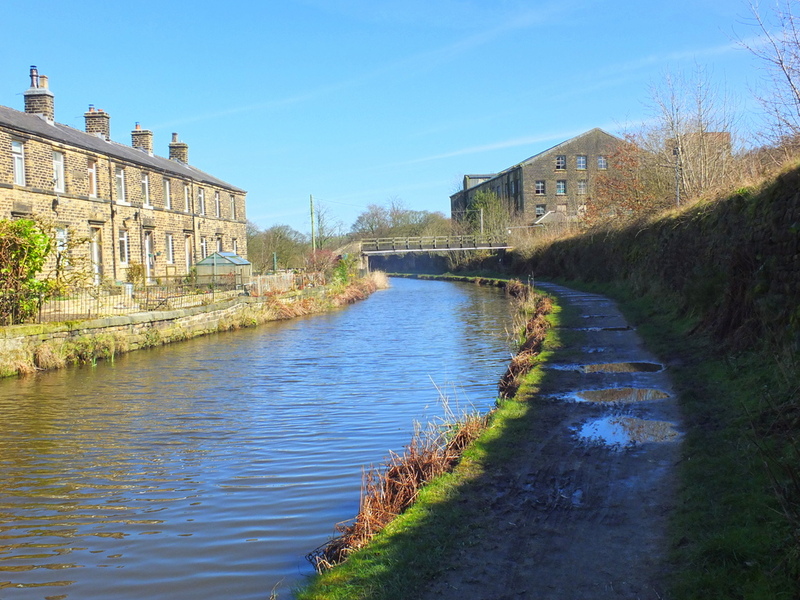 In the case of the Huddersfield Narrow Canal the towpath makes for a pleasant walking route. The twenty mile Huddersfield Narrow Canal crosses the Pennine Mountain range connecting the city of Huddersfield to the canal system in Greater Manchester. 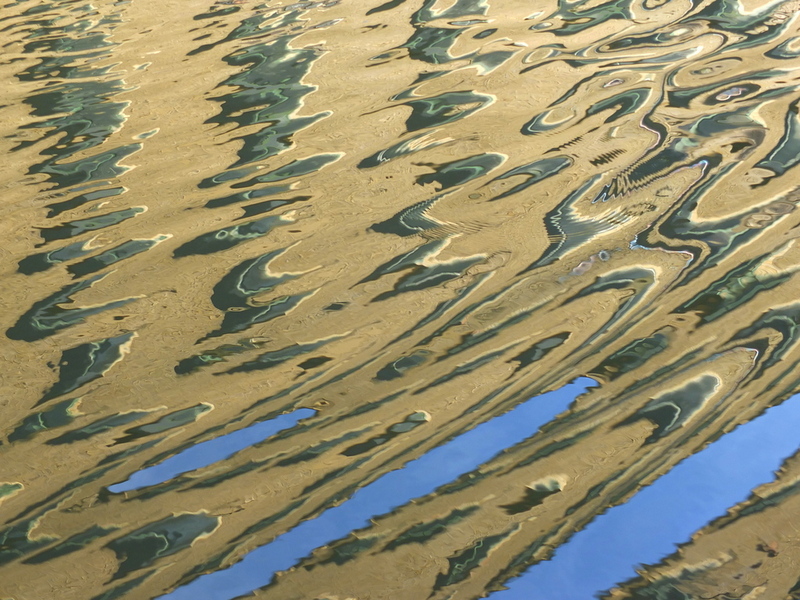 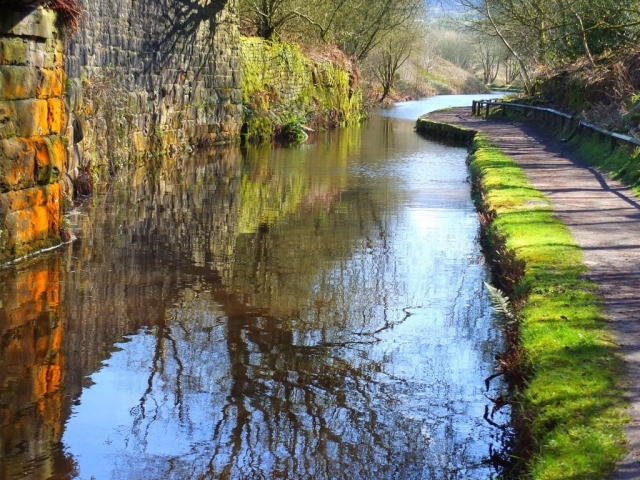 How does a canal cross a mountain range you might ask. 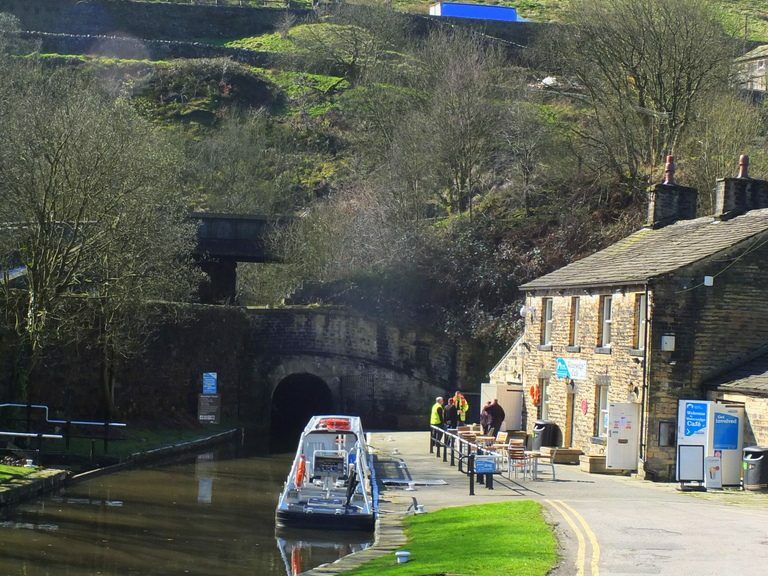 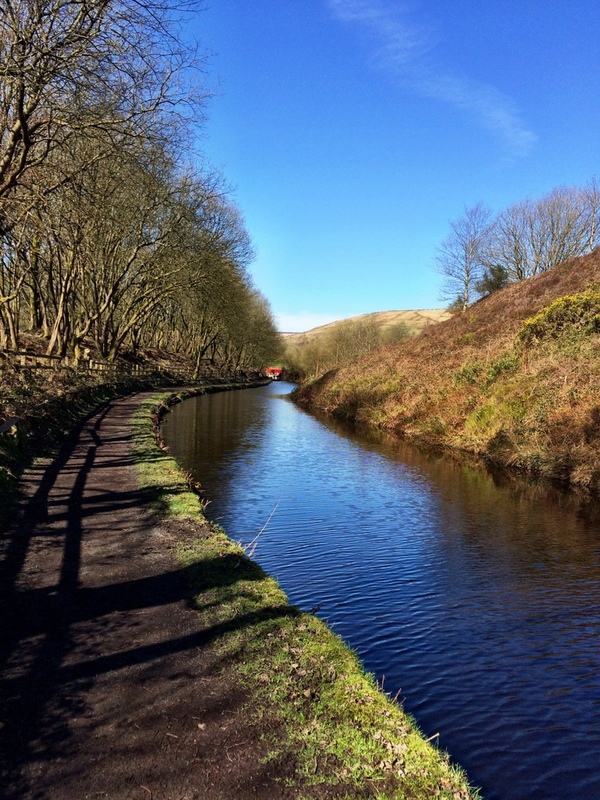 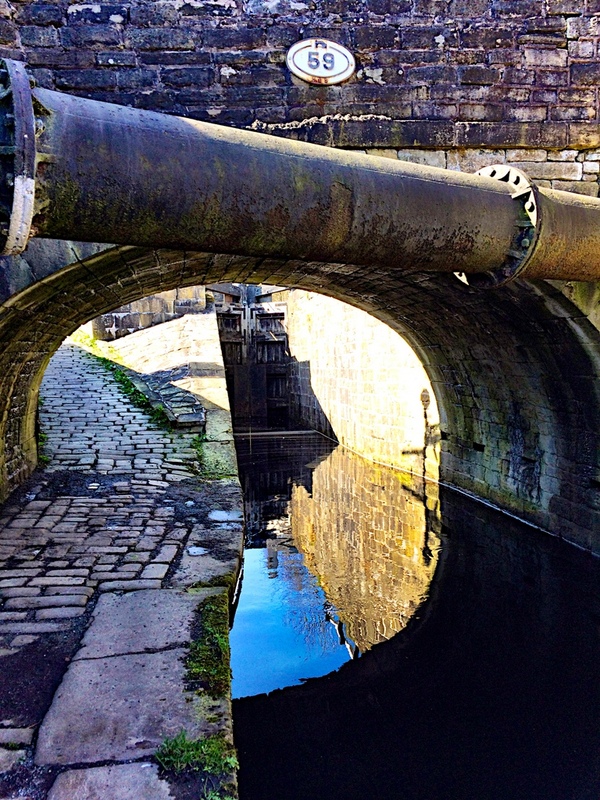 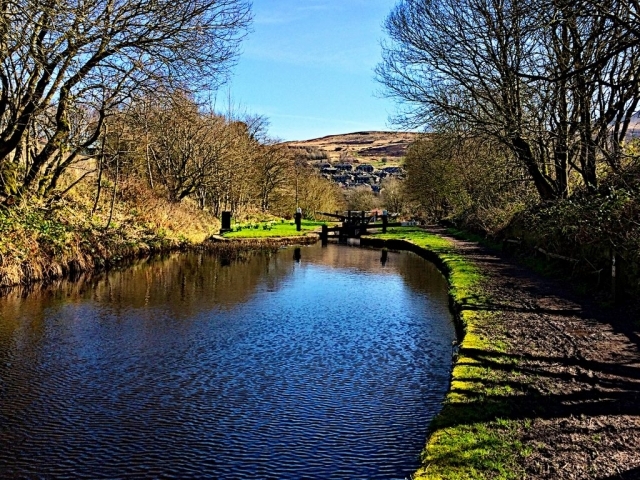 Well, this canal uses more than 70 locks and the longest canal tunnel in England (Standedge Tunnel) to accomplish the feat. 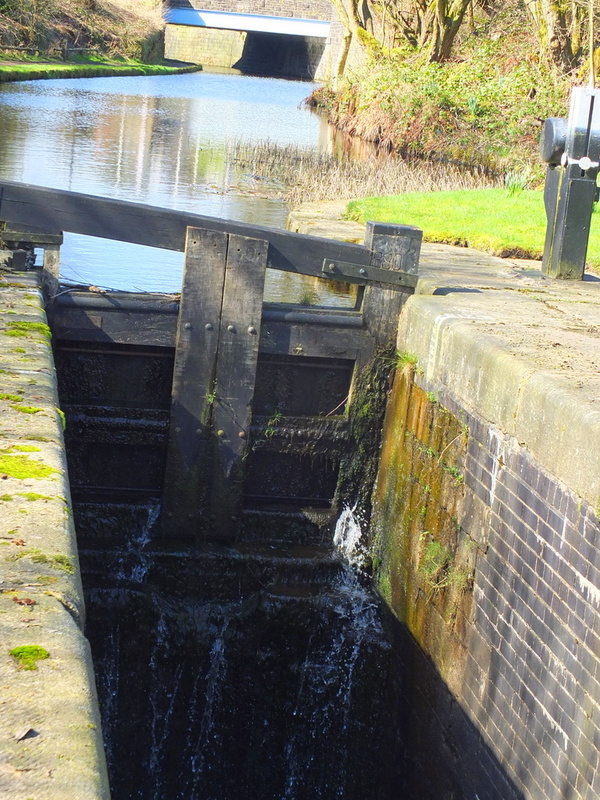 The canal and locks allow for boats and barges that are no more than seven feet wide and can be 70 feet long. 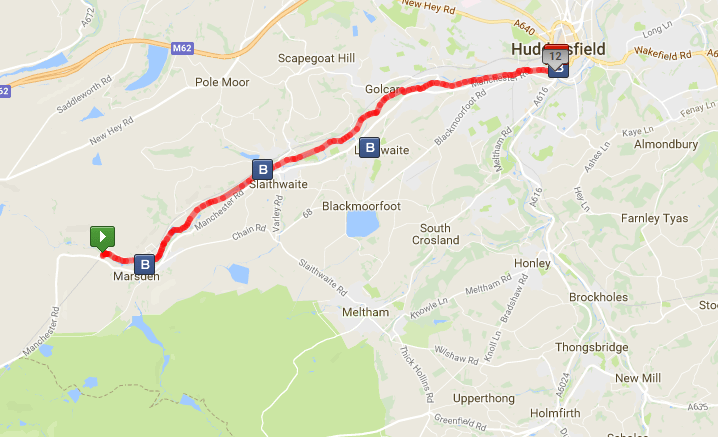 I started my hike by taking a bus from Huddersfield to the town of Marsden further up the Colne River valley. 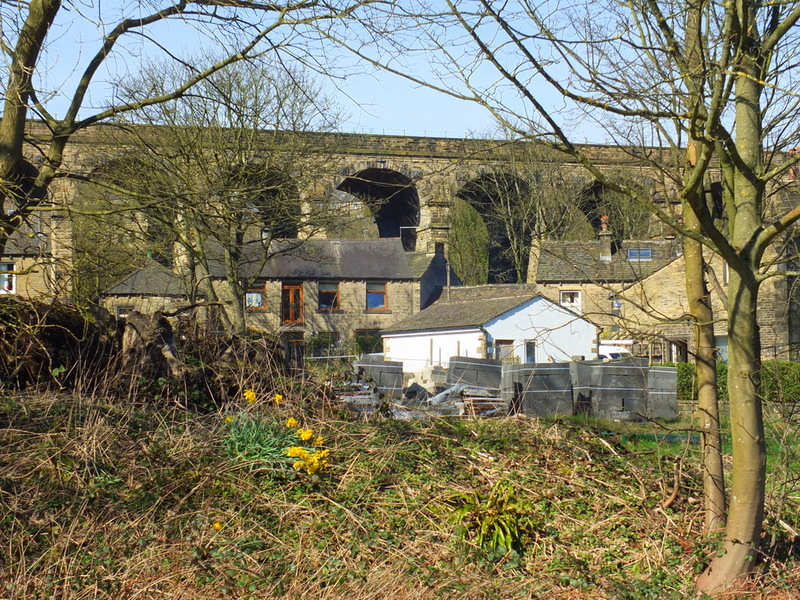 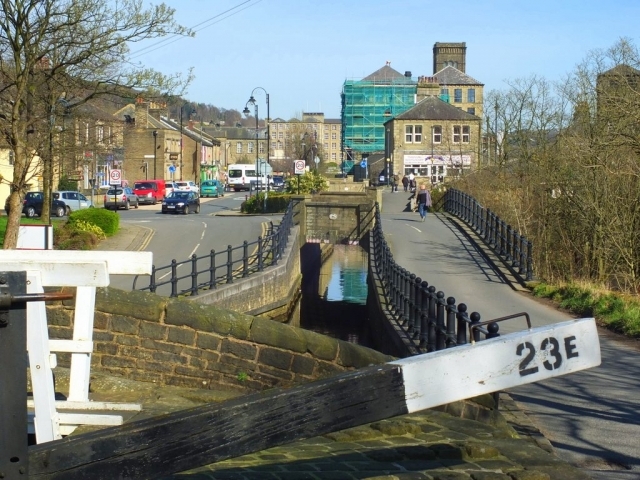 Marsden is an historic textile mill town that was famous for its woolen cloth. 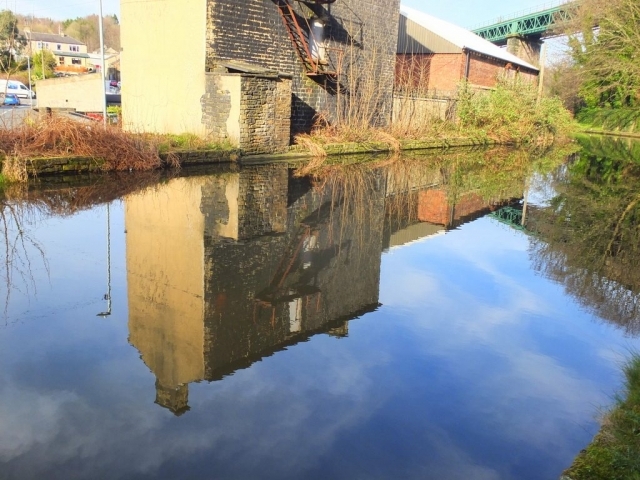 The huge mill now sits idle on the edge of town. 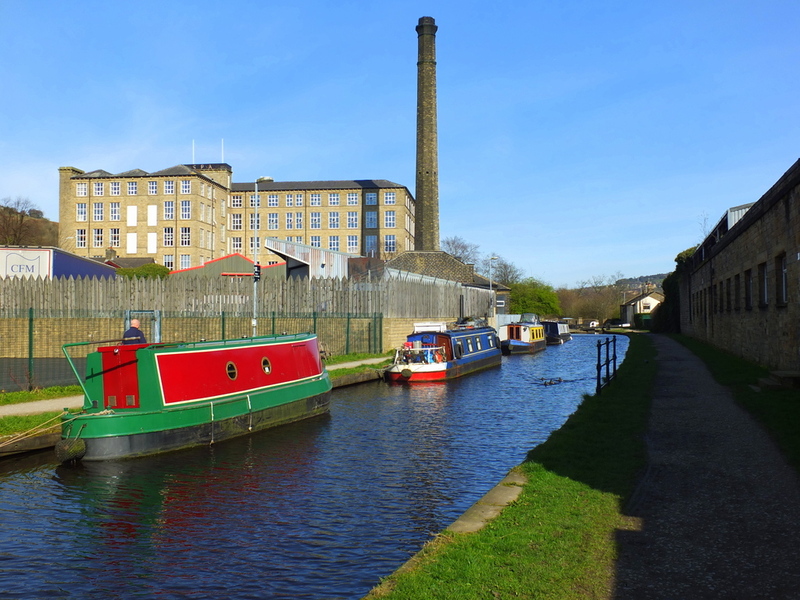 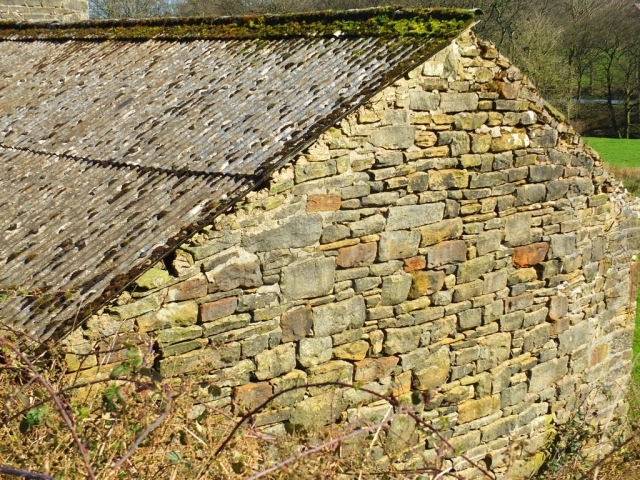 There were once many woollen, worsted, and cotton mills along the route between Marsden and Huddersfield and most of their operations are defunct although I understand there are a few artisan operations here and there. There is a steep rise to the West of Marsden up into the moor and the canal tunnel emerges there from the side of the rise. 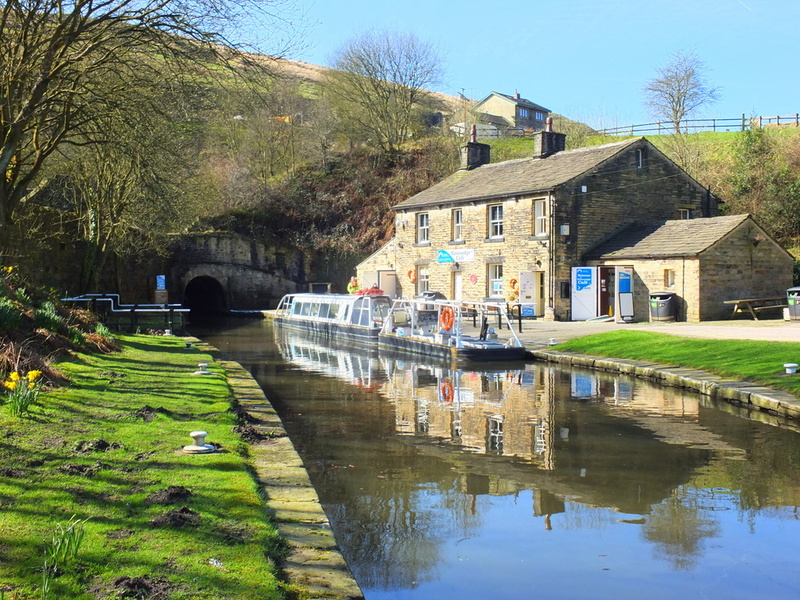 Completed in 1811, the narrow tunnel goes West under the mountain for more than three miles (5200 meters) before seeing daylight again. 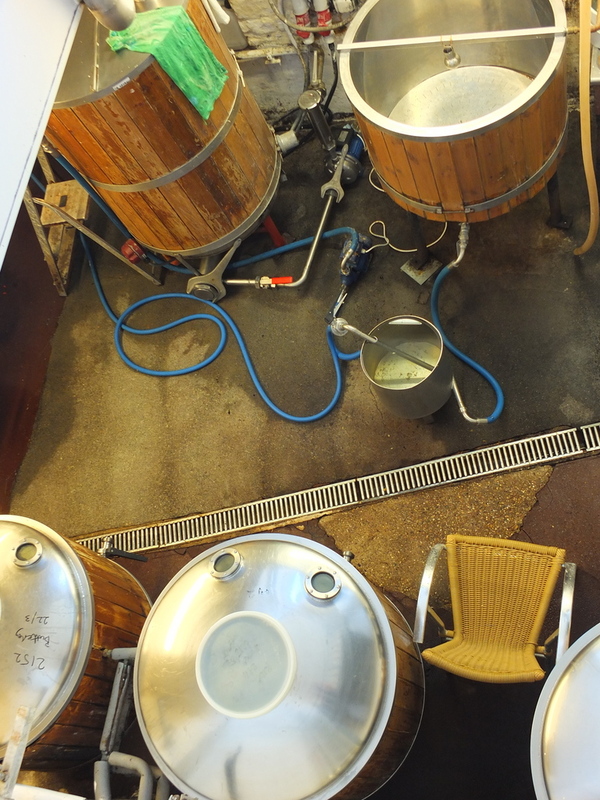 Just thinking about it kicks in my claustrophobic tendencies. There is no towpath in the tunnel so in the day the barges were propelled by “leggers” … guys who laid on their backs on the decks of the barges in the dark and walked on the ceiling of the tunnel to move along. 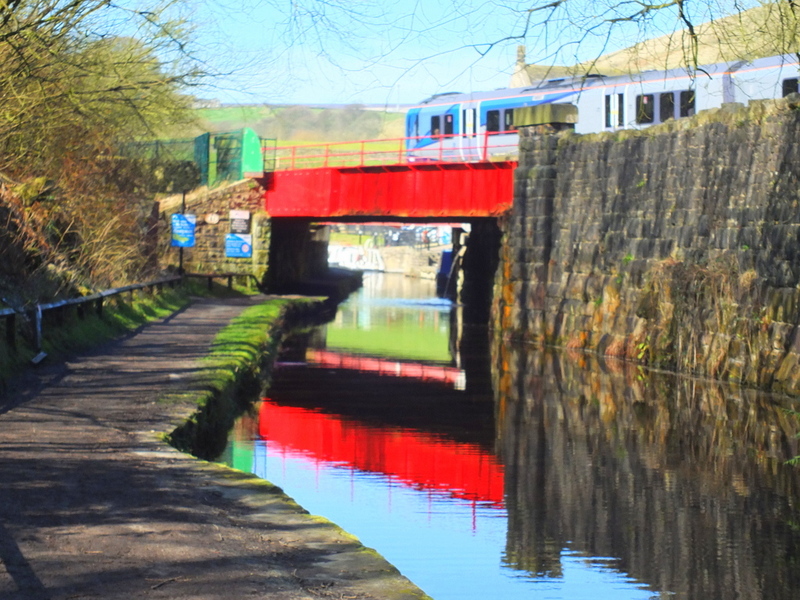 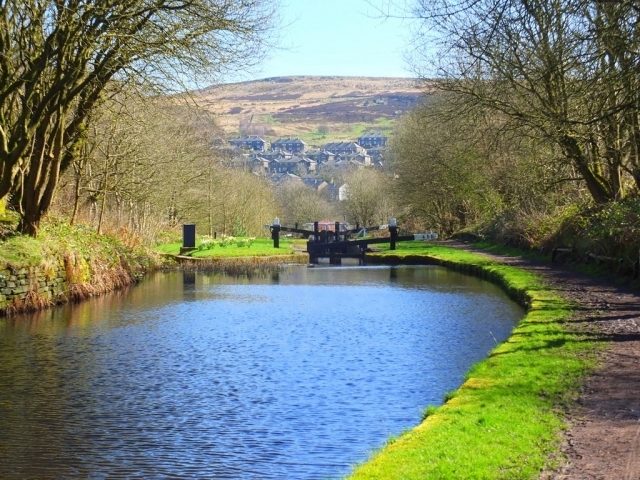 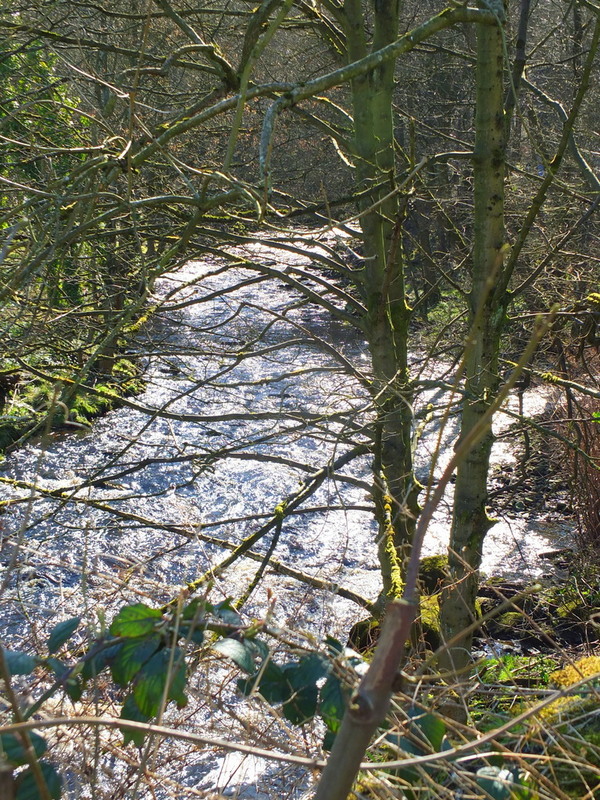 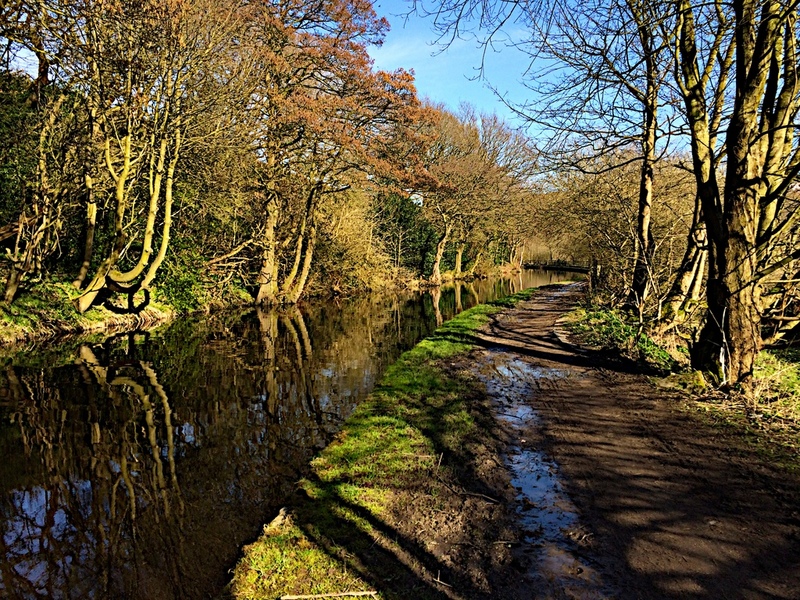 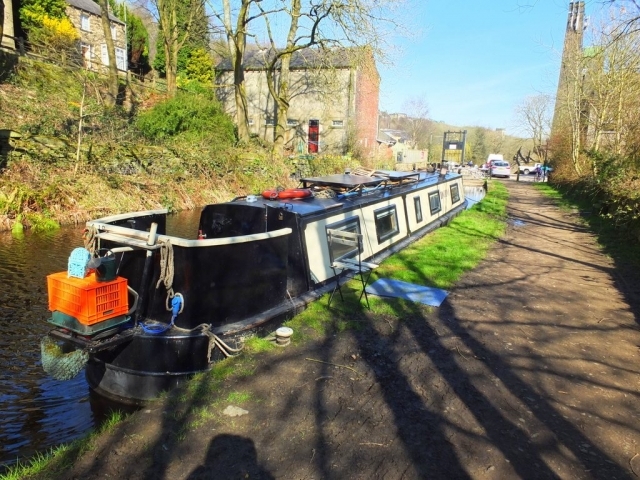 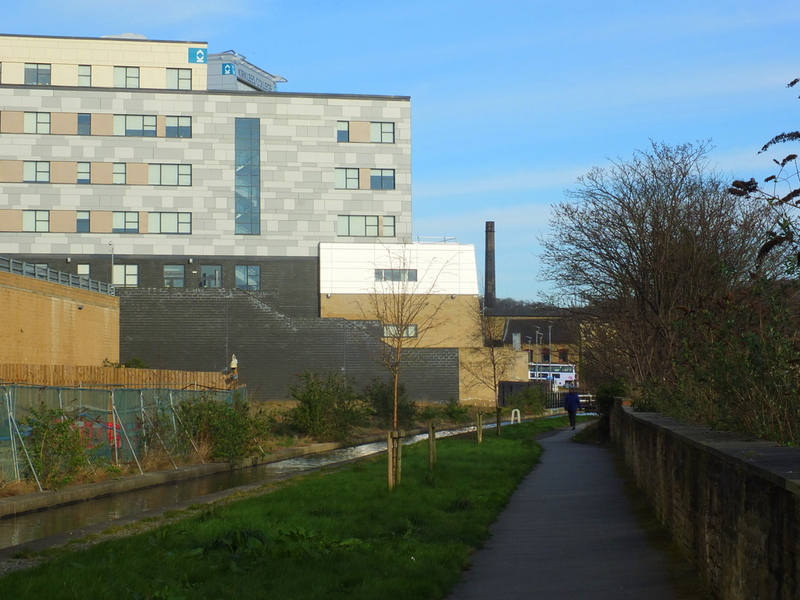 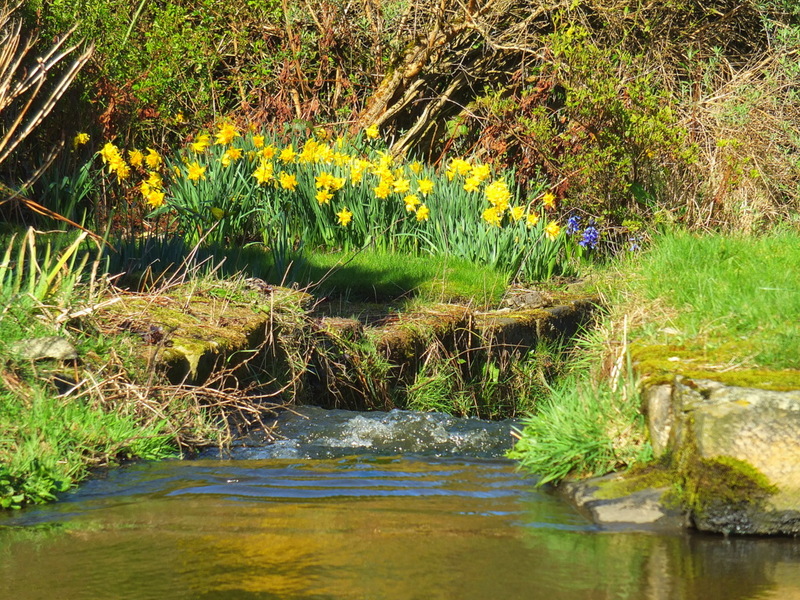 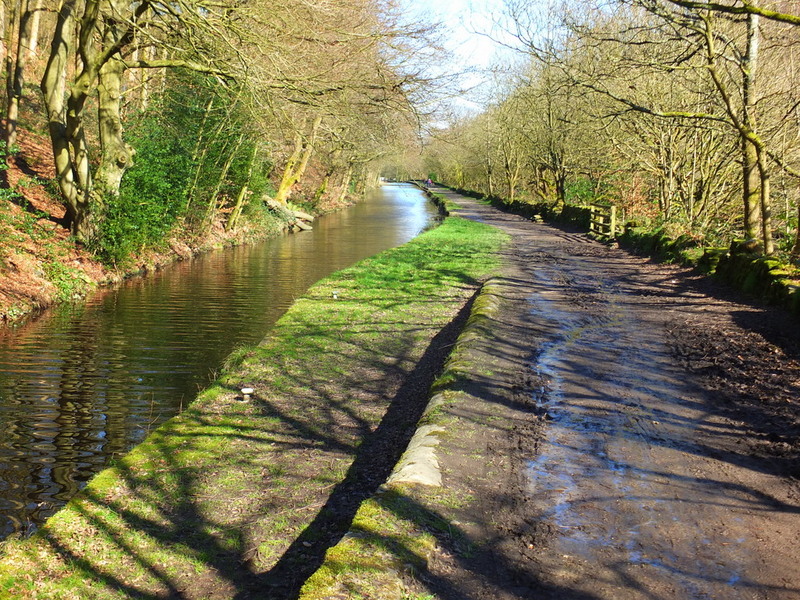 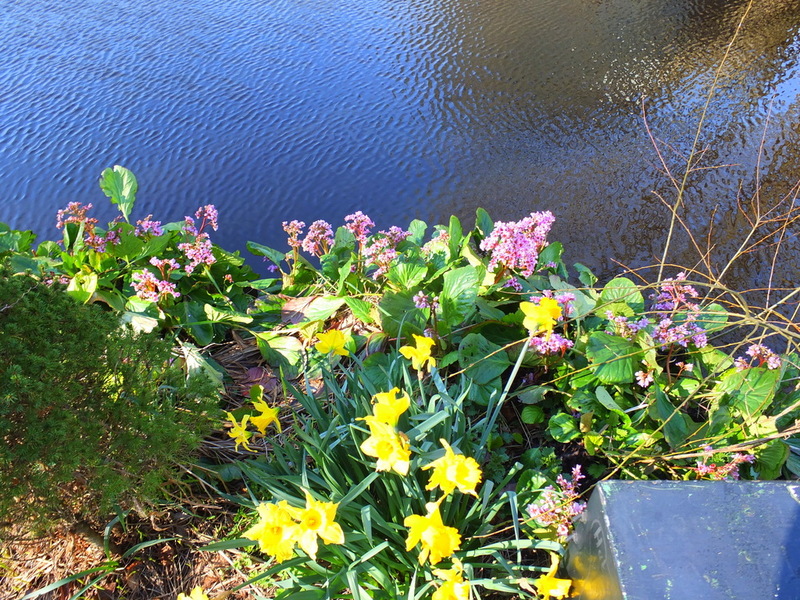 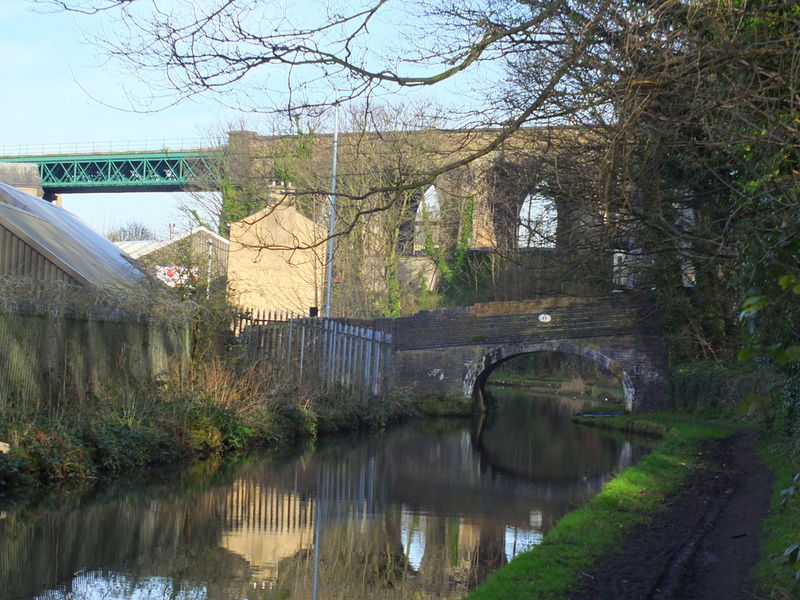 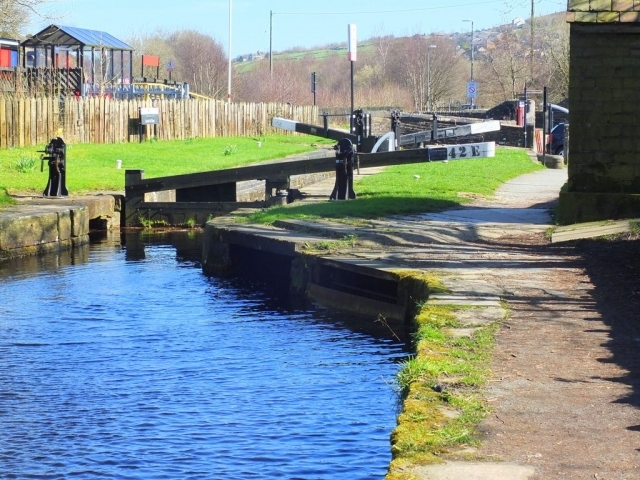 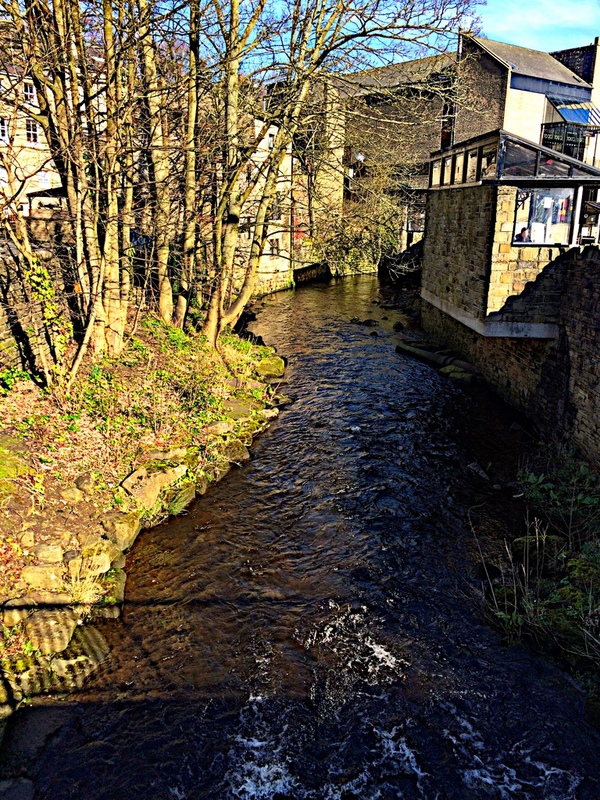 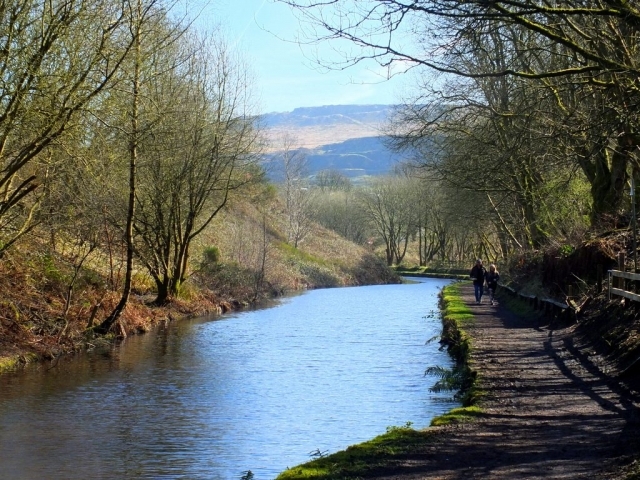 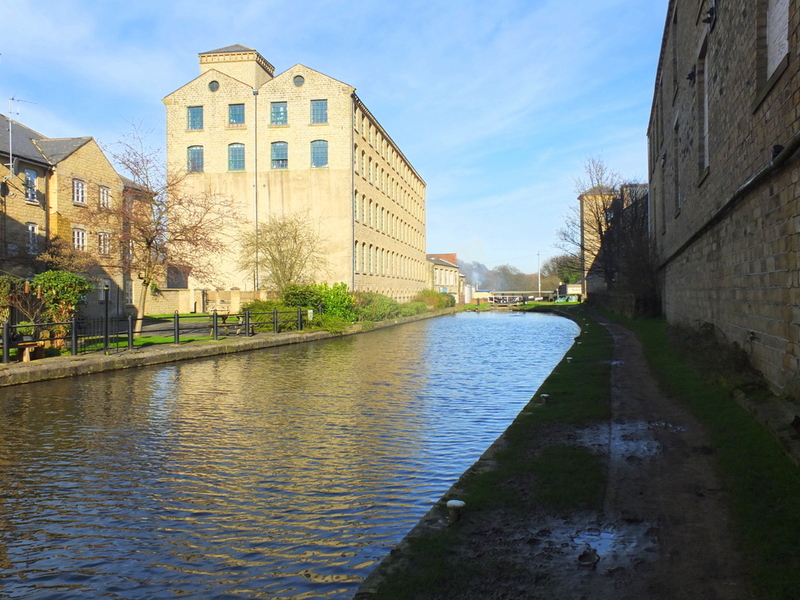 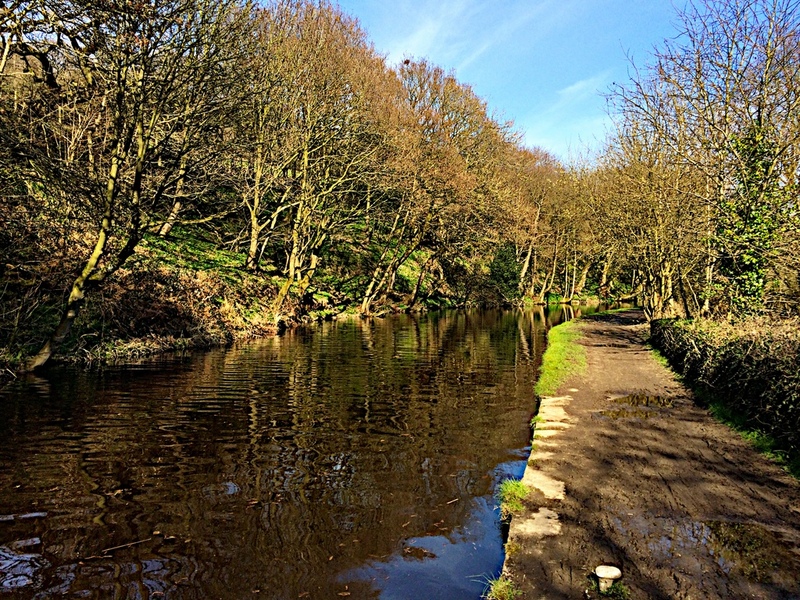 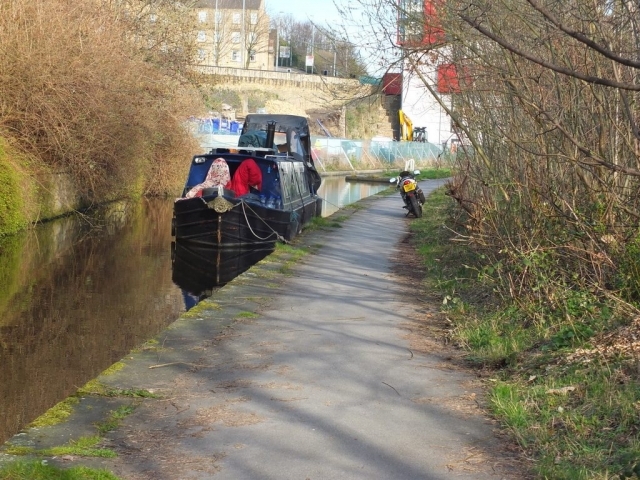 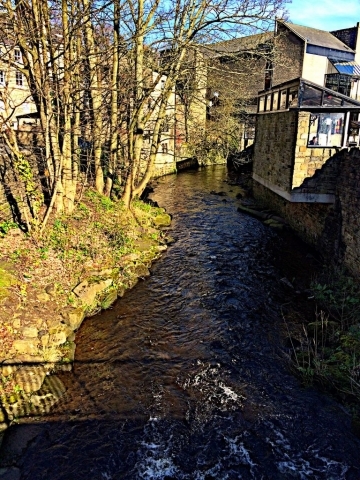 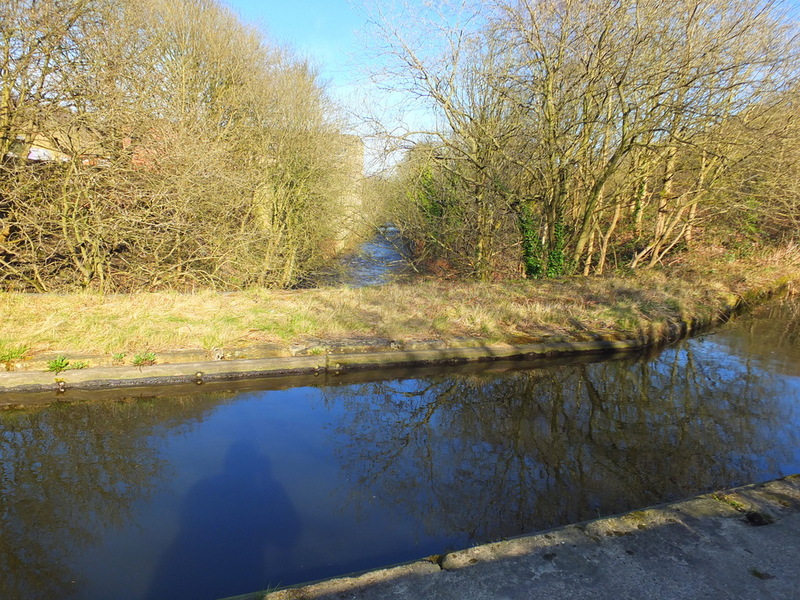 The canal fell into disuse and disrepair for many decades once rail and trucks provided better transport options but was made navigable and reopened in 2001 through the leadership of the Huddersfield Canal Society. There is an small, interesting visitor center with some displays about the tunnel and canal in a canal warehouse building near Marsden. 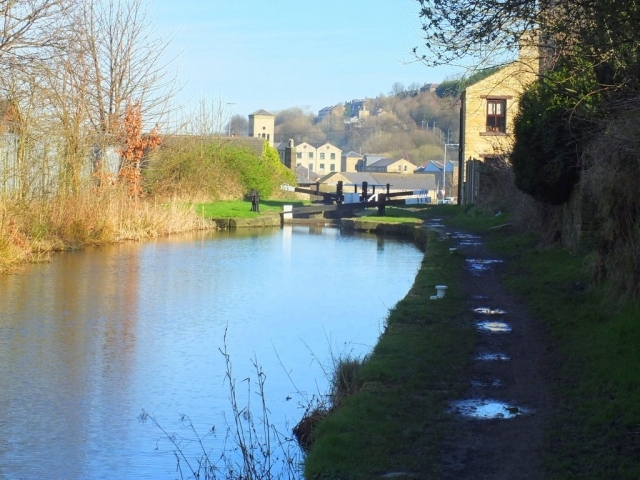 The walk passes through pretty countryside and small towns. Being a continuous canal, there are no interruptions of the path or road crossings — the canal even bridges over the river in a viaduct at one point. As you enter the city of Huddlesfield things get quite a bit more urban up above the towpath and you pass the remains of various industrial dreams. Here is a gallery of images of the walk. 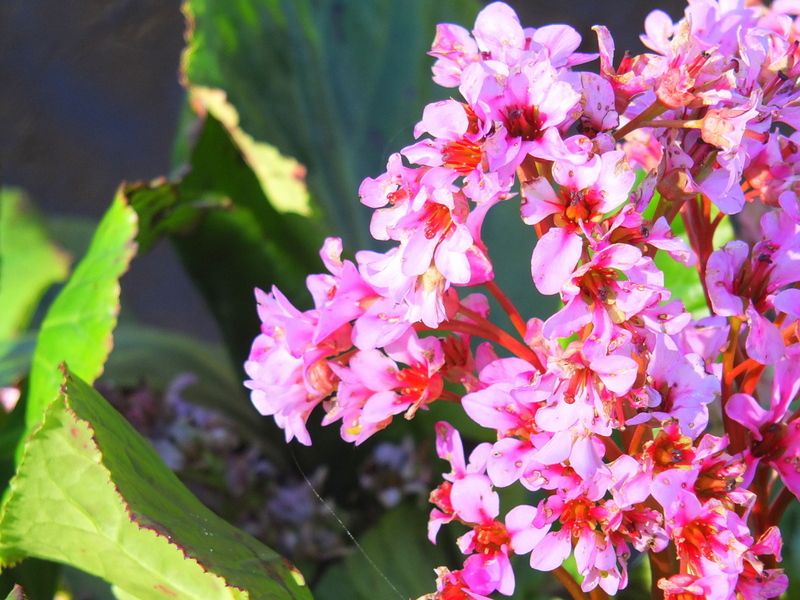 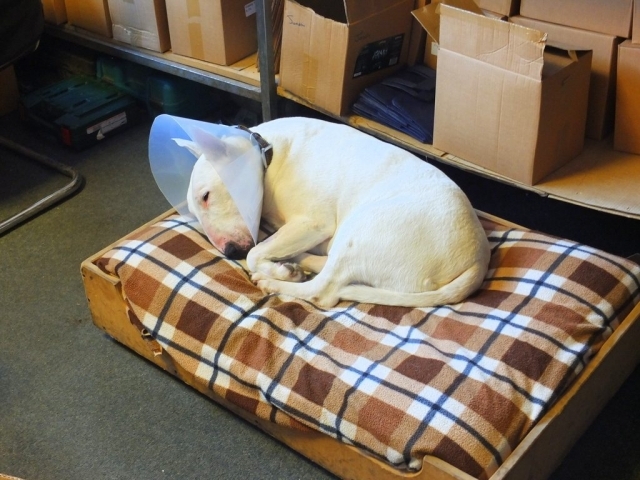 Click on any image to enlarge it and to open a slide show of larger images that you can scroll through. 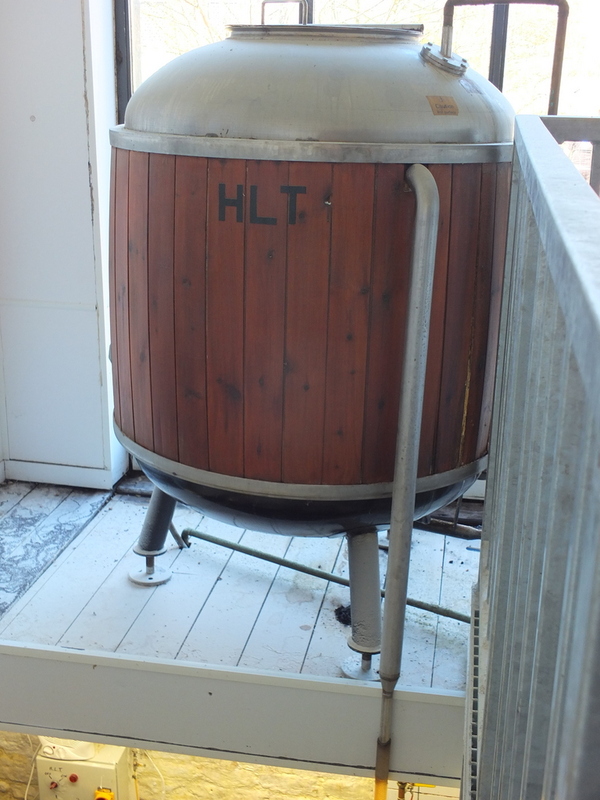 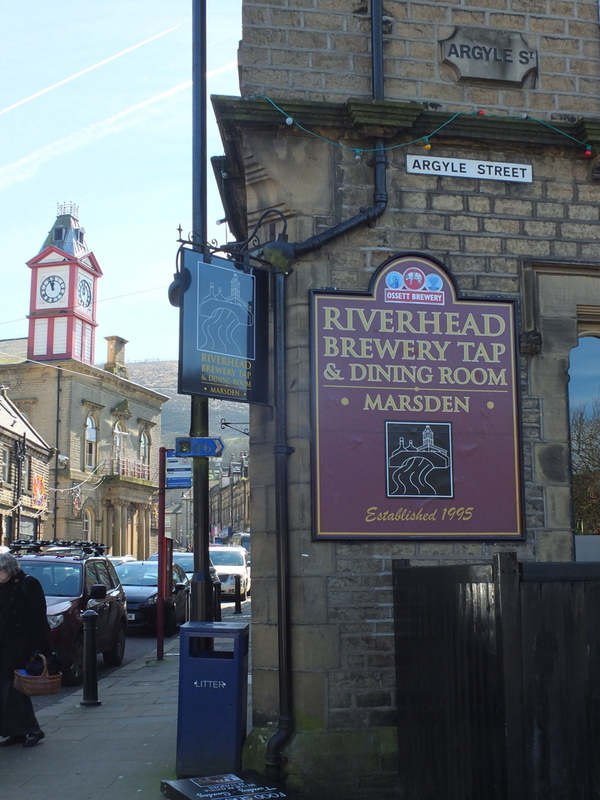 Riverhead Brewery in Marsden is a small brewery located in the basement of a comfortable pub along the river. 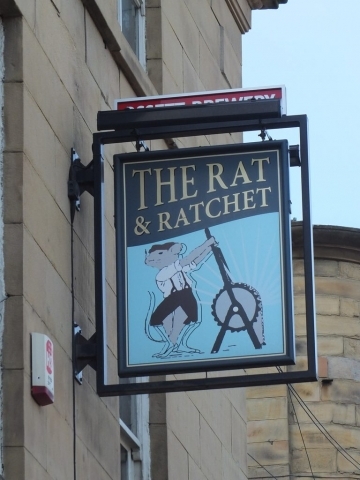 I stopped there for an ale before setting out on the route. 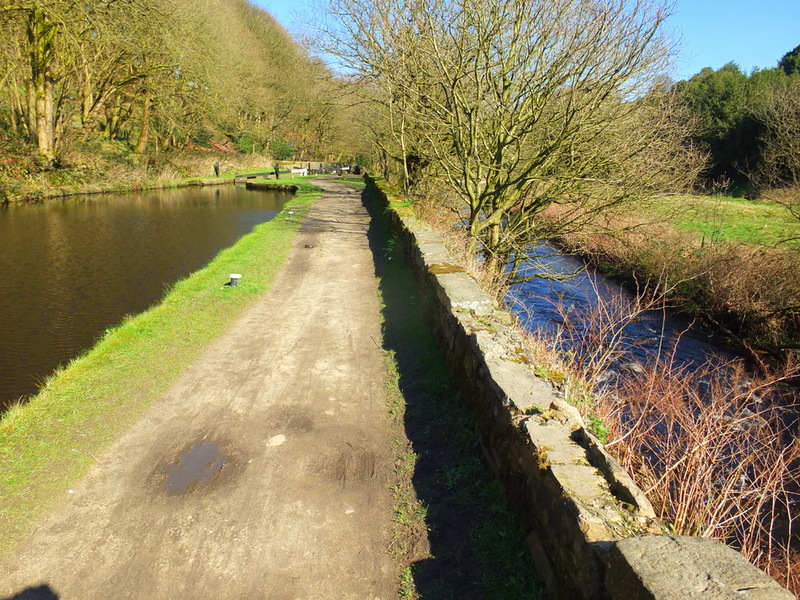 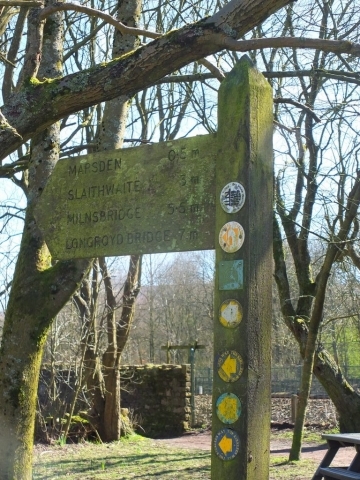 This had been the ending place for another walk I had taken on the Pennine Way into Marsden from the South, so I was familiar with their range. 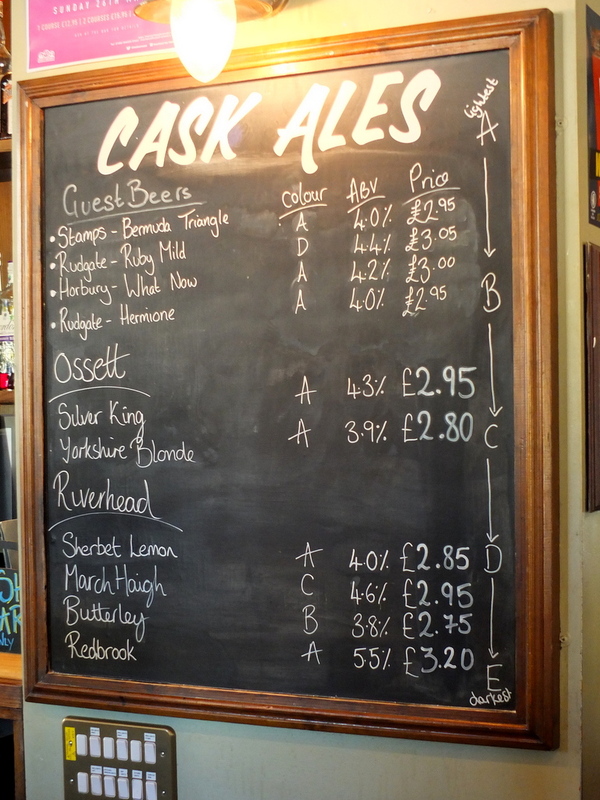 I particularly enjoyed their March Haigh, a nice, malty cask ale. I learned that Riverhead is one of a group of four breweries operated by Ossett Brewery (Ossett is just East of Huddersfield). The Rat Brewery further on down the canal is another. Empire Brewing occupies the former boilerhouse space in an old mill building in Slaithwaite that is right on the canal. 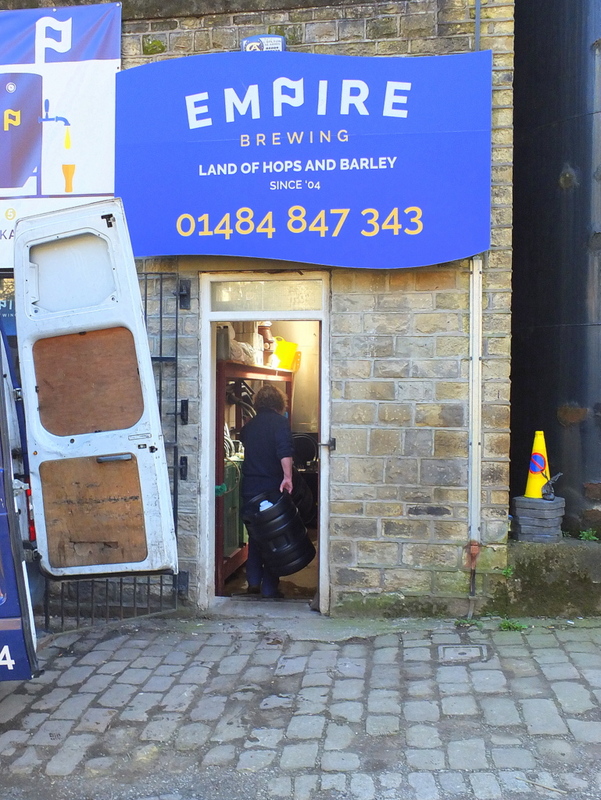 As I approached I encountered a man loading casks into a van. This turned out to be Russ Beverley. 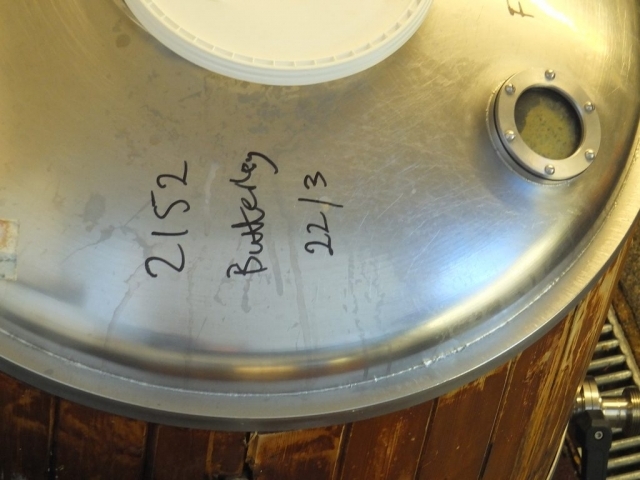 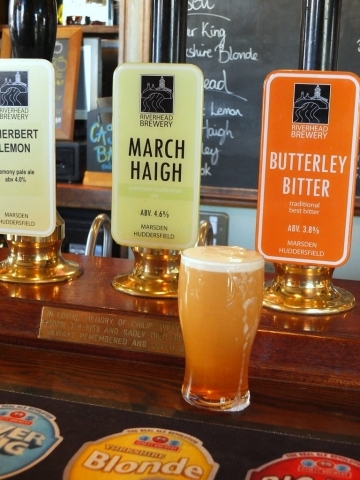 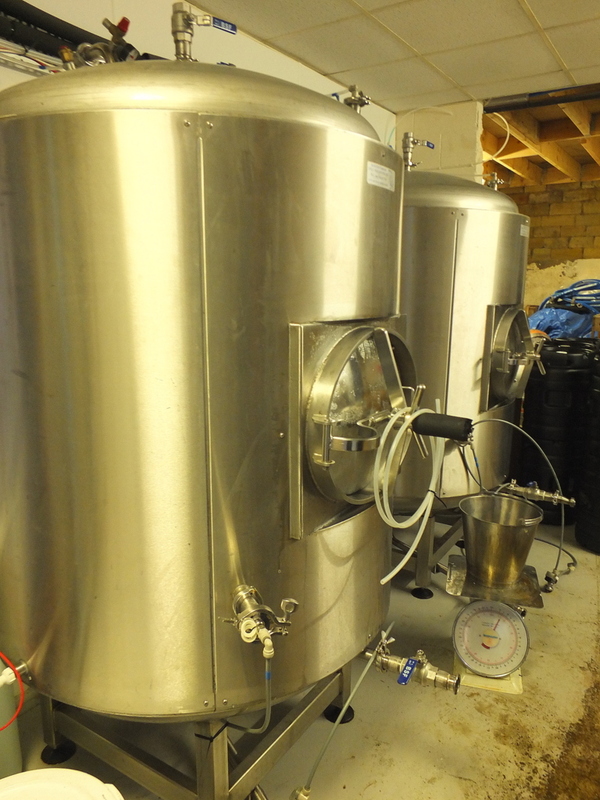 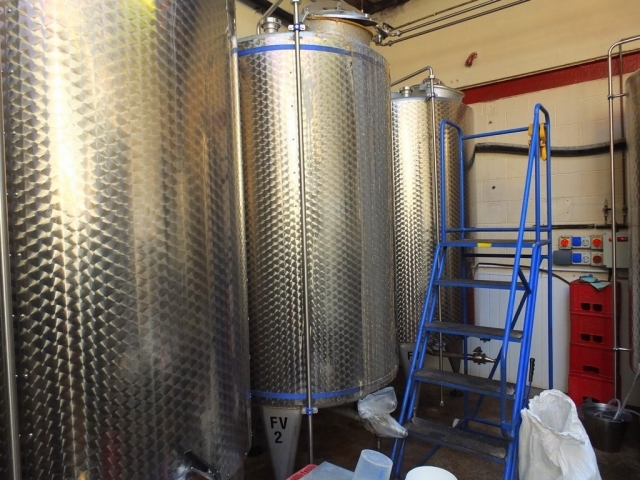 Russ and his family run this brewery and produce a nice range of cask ales. 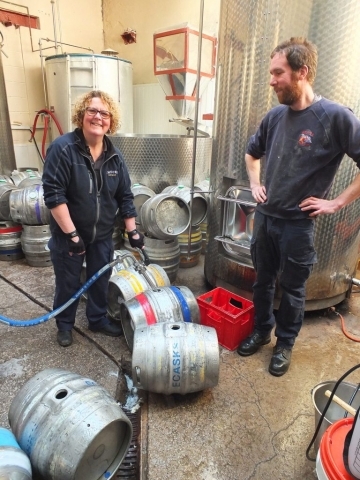 Russ had evolved from pub operator to garage brewer to his current operation. 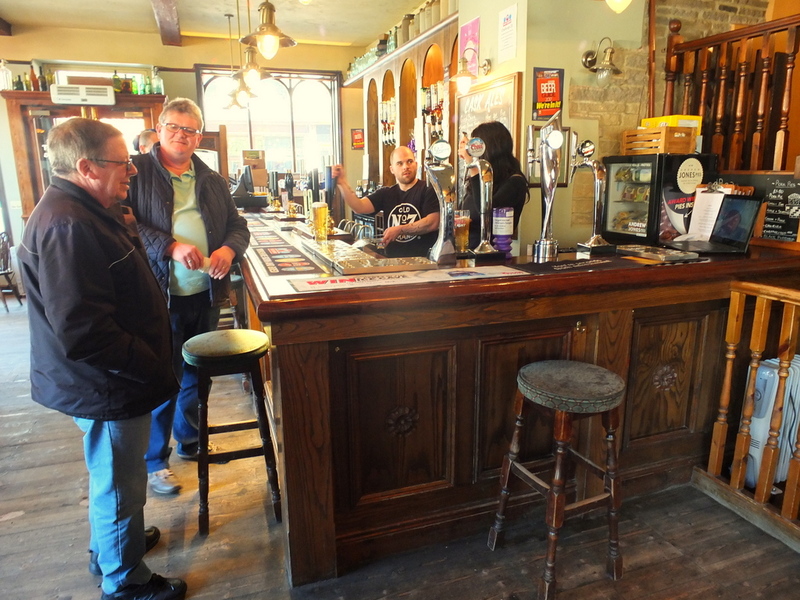 Everyone in the place except Bonzo the dog was moving fast so I tried to not impose for very long. 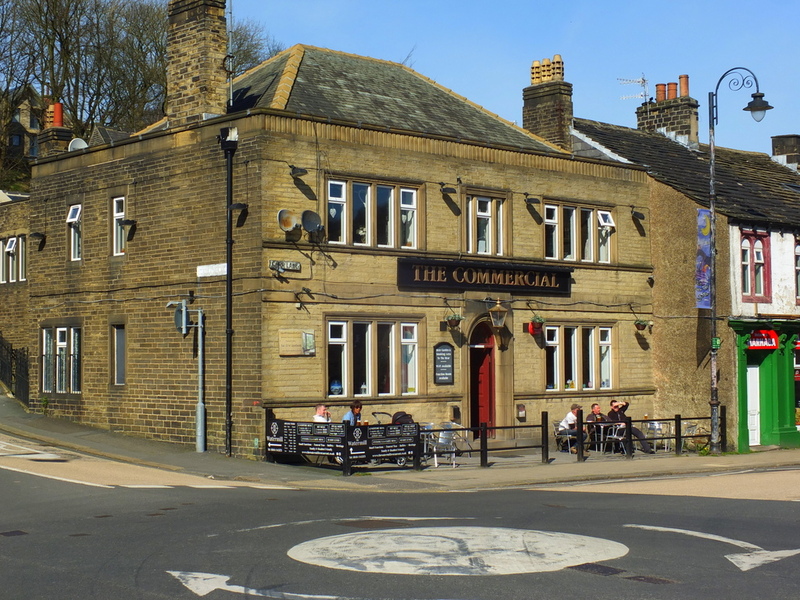 There is not an onsite taproom, but their product is on tap nearby at a pub called The Commercial in Slaithwaite. 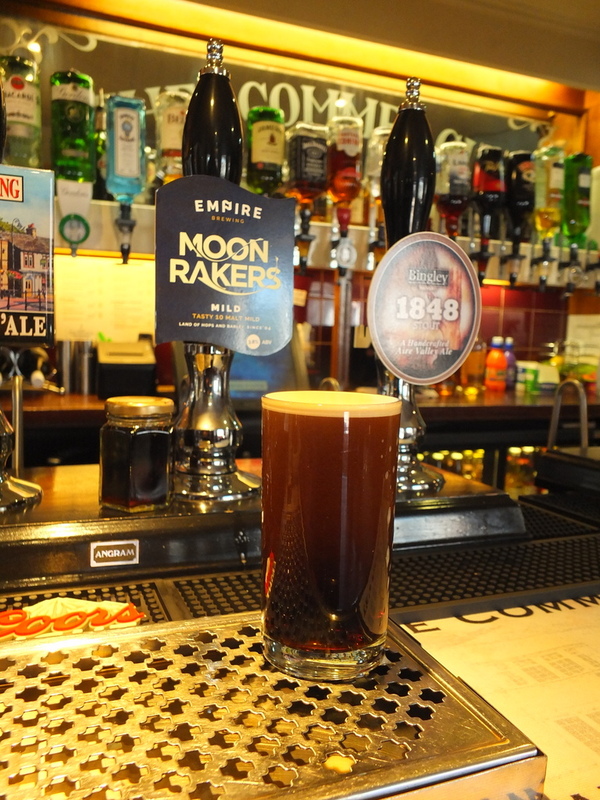 I enjoyed a Moonraker — a malty, chocolaty ale. 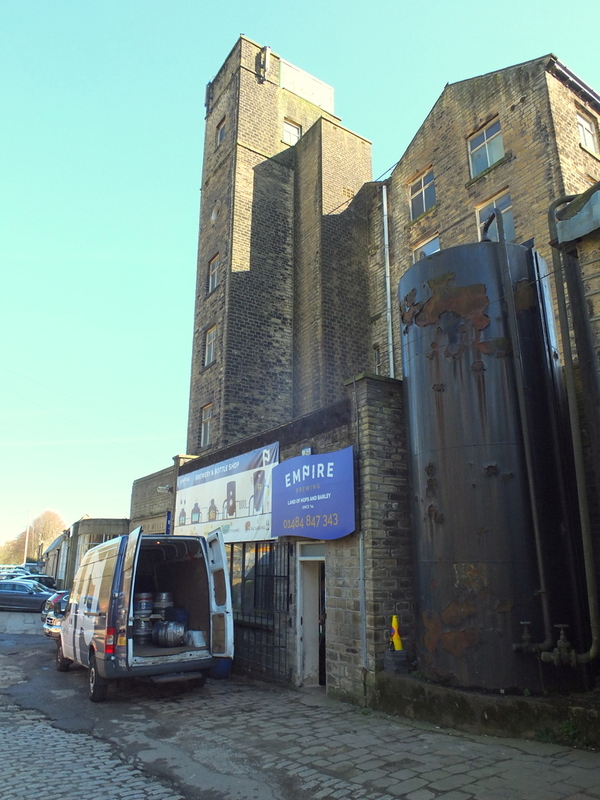 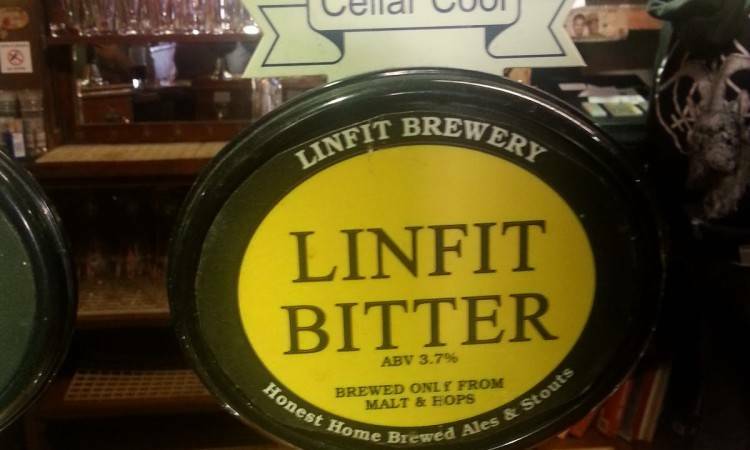 Up the hill from the canal in nearby Linthwaite in an establishment called the Sair Inn is a micro-brewery called Linfit Brewery. 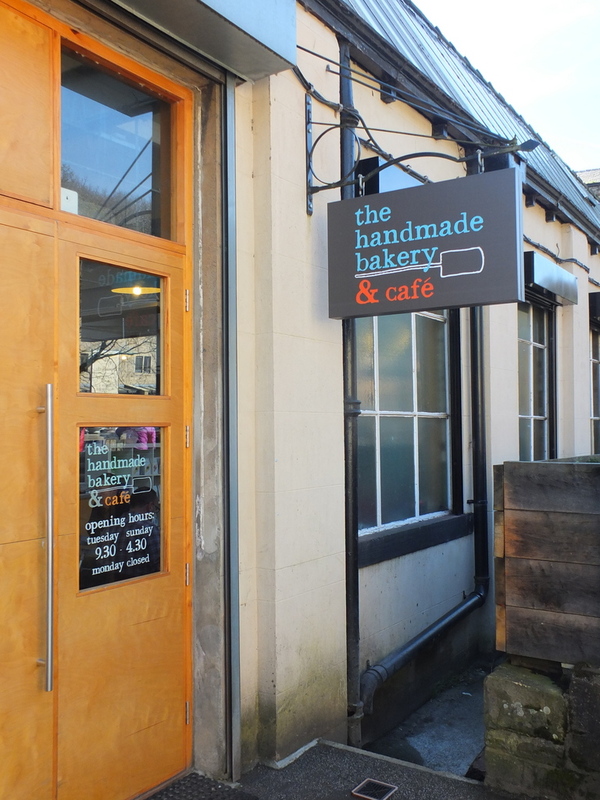 As I understand it, this place has been brewing for more than 30 years and was one of the first places in the resurgence of craft brewing in the Huddersfield area. Sair Inn is a former winner of CAMRA national pub of the year recognition. 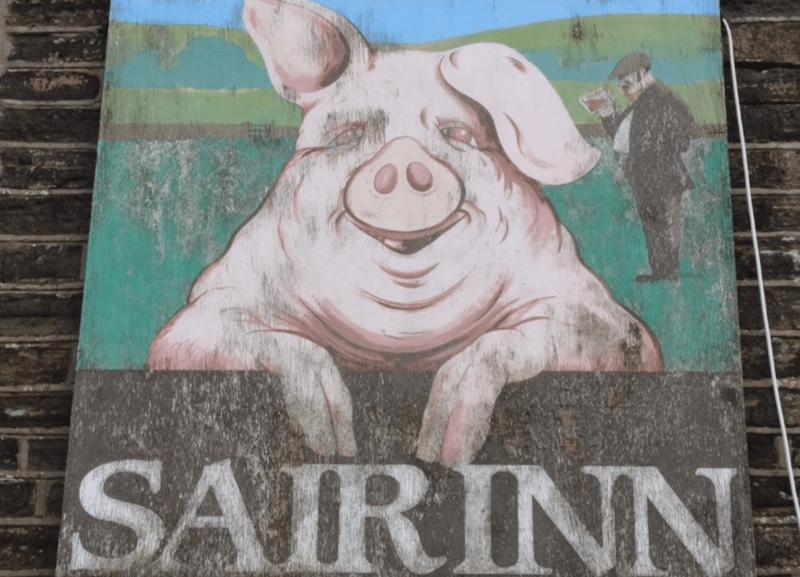 The Inn was closed when I was passing through so I wasn’t able to visit on this trip. 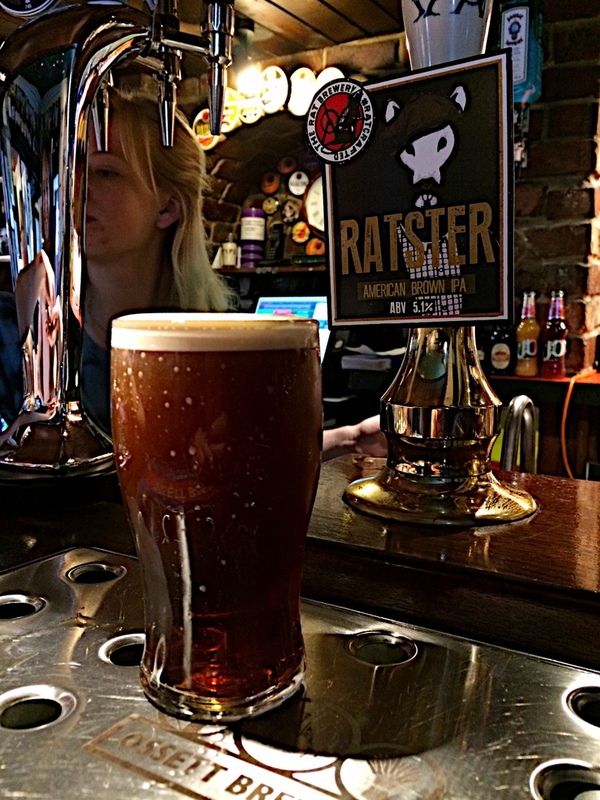 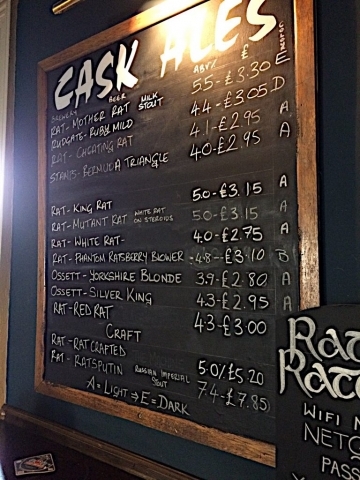 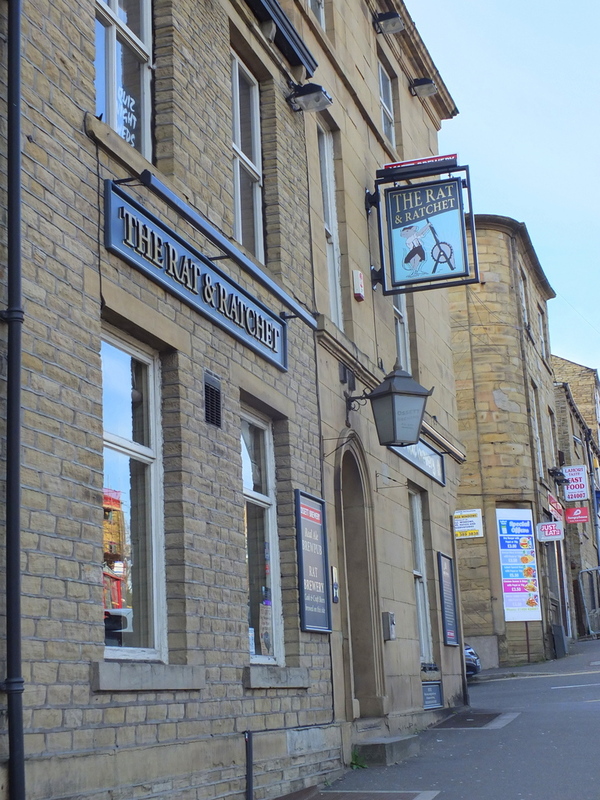 The Rat Brewery is in the basement of the Rat and Ratchet pub near the end of my walk where the towpath comes onto the University of Huddersfield campus. 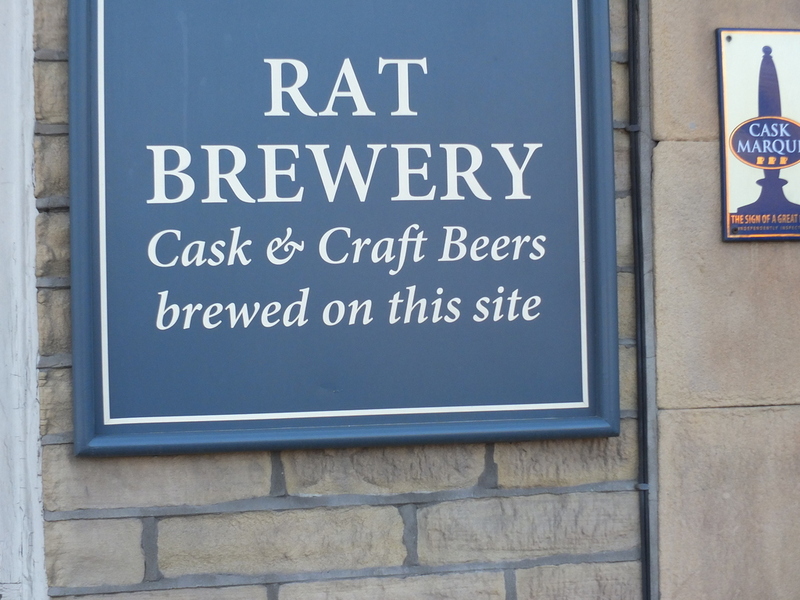 Their Black Rat Porter turned out to be a great libation to cap off the hike. 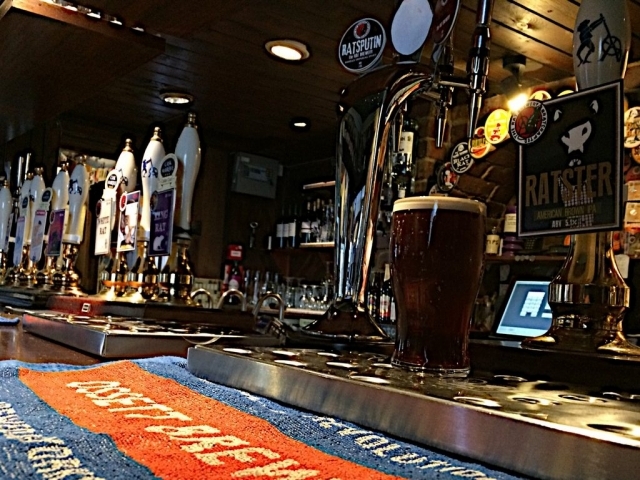 This is one of a series of stories about hikes and beers in Great Britain. 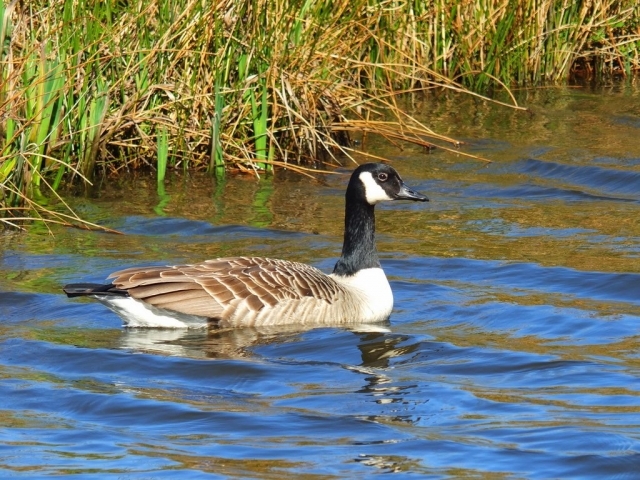 See all of the stories by CLICKING THIS LINK.